Now, the data-saving feature that Google's immensely-popular Chrome browser flaunts is nothing new. Dubbed Data Saver, this feature debuted in early 2014 and aimed to reduce data usage by compressing the web pages through Google's own servers before downloading them to the user's handset. This nifty functionality saves up to 50% of data usage, which is quite neat, especially if they have a not-so-generous plan. From our experience with it we can say that it does work as advertised, saving us 40 to 50% of data on a regular basis, and we like it very much! Well, it seems that the team behind Google Chrome has decided to make Data Saver even more awesome. 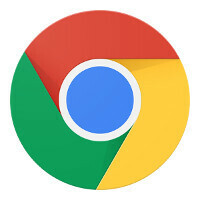 Tal Oppenheimer, the Product Manager for Google Chrome, just revealed that the data-saving functionality has been vastly improved and will be able to conserve users up to 70% of data usage. It seems that the feature will be able to automatically detect if the Internet connectivity is poor and won't download any images before the body of a certain website has been successfully loaded. This will potentially speed up your After the page has been loaded, the user will be presented with the option to manually download all or several images. That's great news for those who have to keep tabs on their data usage or surf the web in a low-signal area. However, it is not available for just anyone yet - the expanded Data Saver of Chrome is being soft-launched on Android devices across India and Indonesia, with users across more countries getting it in the upcoming months. However, we don't know when it will become available to all users. No mention of iOS devices either, but we are hopeful the enhanced feature will eventually pop up on the iOS version of the popular browser as well. By the way, you need to manually enable the existing Data Saver in Chrome - check out how in our handy guide. This goes beyond ad blockers. Ad blockers still bring in images. This new update will not even load in the images until you click on them. So this will save lots of data, especially if you really low data plans. Safari can't do that. Content blockers allow you to control if you don't want images, thumbs, custom fonts, even those darn share buttons for FB an Tweeter. You can also control if you want to omit comments on an article. Content blockers is Not just for ads. I use purify app - and it lets you do all that. on opera I'm getting 96 percent savings... with pictures. I've seen barely 10% savings, but what I'd like to see squeezed, if not squashed, would be ads. But Google being an ad agency, that'll never happen. So it's not worth giving Google yet another means of profiling me. It all depends on what sites you visit. HTTPS doesn't go through the compression. On my Tablet where I do most of my mobile browsing I hover around 40% savings. Maybe I'll eventually give chrome a shot, if it's also less of a memory hog. 70% more savings than zero is still zero... I dont save ANY data using chrome data-saving.